Keeping track of events with the Calendar app on your iPhone is a handy way to make sure that you don’t forget anything important. 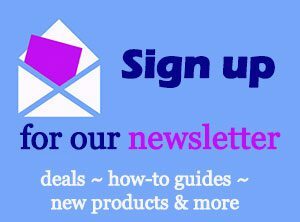 But if you have multiple email accounts on your iPhone, then you may have multiple calendars. It is simple to switch between them on the device, but it can be frustrating if events are getting added to the wrong calendar. One way to fix this problem is to select a default calendar for your iPhone. This is the calendar that new events will be added to automatically, such as when you create a calendar event with Siri. 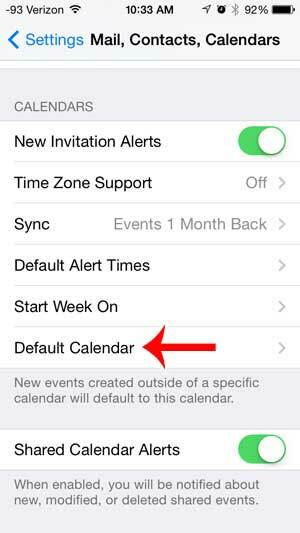 So continue reading below to learn how you can change the default calendar on your iPhone. The tutorial below was performed on an iPhone 5 using the iOS 7 version of the operating system. If you are using an older version of iOS, your screens may look different. 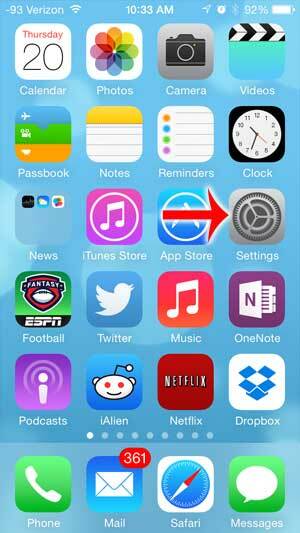 Learn how to update your iPhone to iOS 7 if you want any of the new features or the new look that it offers. Step 1: Touch the Settings icon on your Home screen. Step 3: Scroll all the way to the bottom of this screen and touch the Default calendar button in the Calendars section of the menu. Step 4: Select the calendar that you want to use as your default. 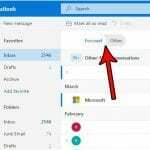 The default calendar will have a red check mark to the left of it, as in the image below. 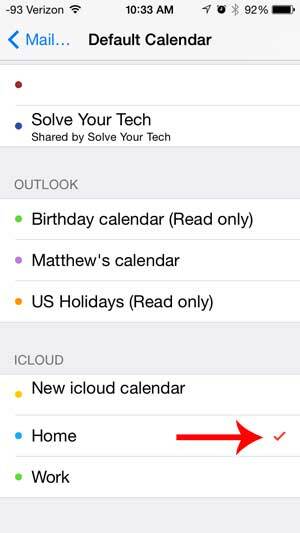 Do you want to use iCloud calendars on your iPhone, but you can’t find them? 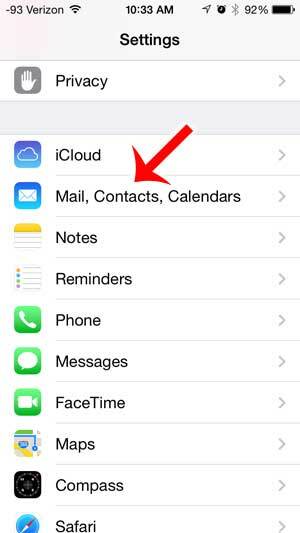 You may not have calendars turned on in iCloud. 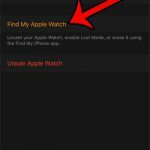 Learn how to enable this feature on your iPhone.